Japanese female photographer Sayuri NAITO who won the Konica-Minolta Photo Premier Competition of 2005 and had been selected “Contemporary Japanese photography vol,8-VOYAGE”” at Tokyo Metropolitan Museum of Photography in 2009. Her works have been displayed in museums in France, Portugal and Mexico etc. 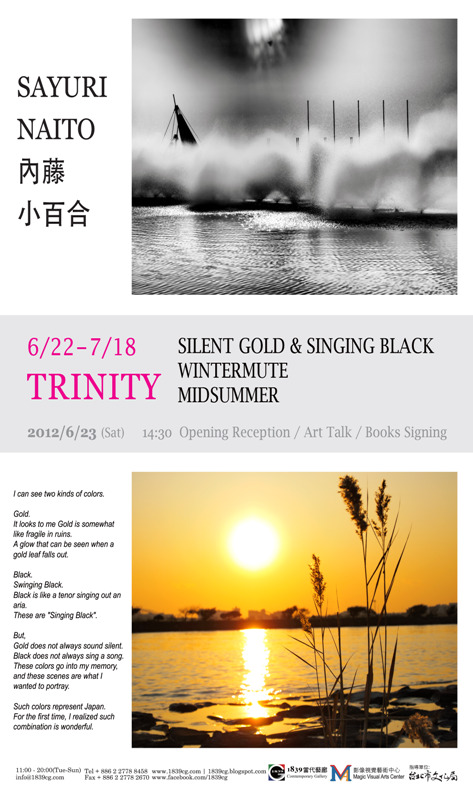 This exhibition showcase Sayuri’s images of TRINITY – three themes of 「Silent Gold‧Singing Black」，「Wintermute」and「Midsummer」where each representing the different time and place.